Cereal has been a staple food in many people’s lives for quite some time now. The tasty concoction comes in a variety of flavors and mixtures. We all know about the wonderful and popular cereal companies that have been around since our childhood. 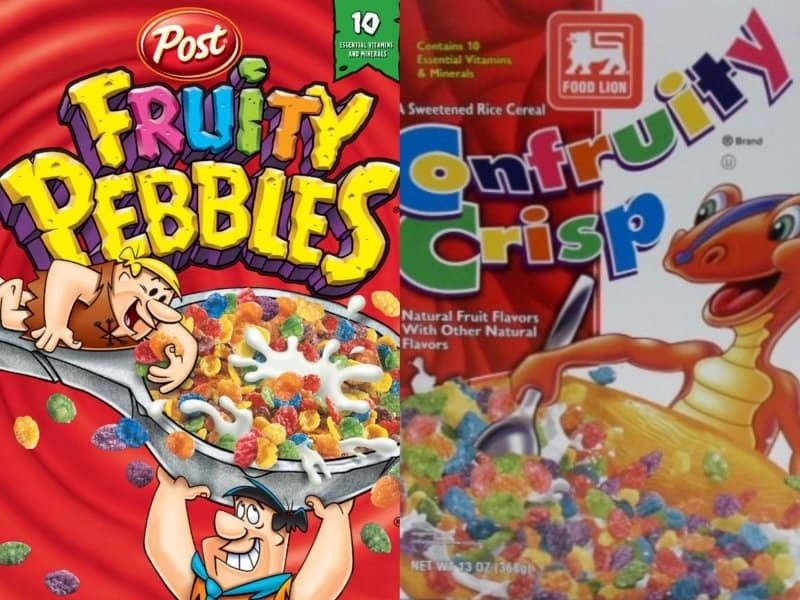 Aside from the popular cereal brands, many stores create their own, cheap knock off brands of cereal. Some of these knock off brands look very similar to the name brands and they have interesting names. Let’s take a look at some funny store brand knock off cereals. 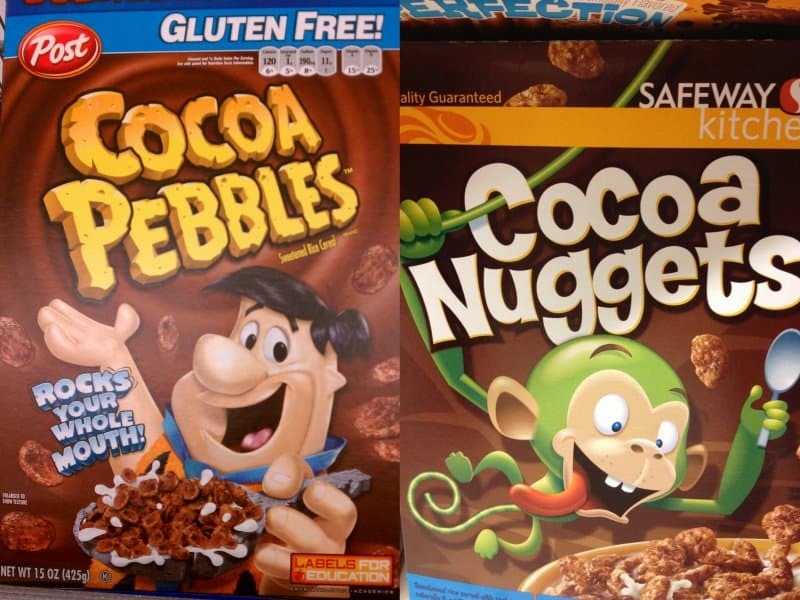 Cocoa Nuggets is a chocolate cereal that’s very similar to Cocoa Pebbles. It looks the same, but what about the taste? 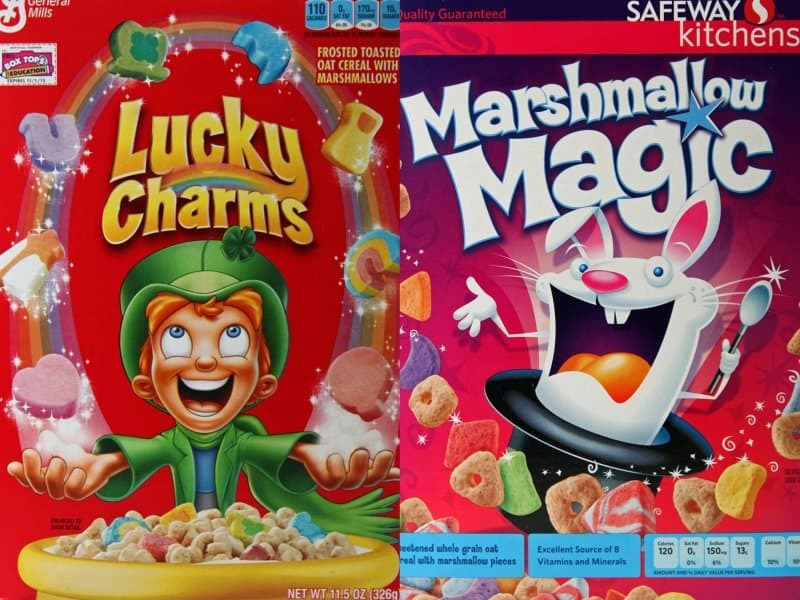 Marshmallow Magic is the store brand substitute for Lucky Charms. The animated rabbit on the box looks insane and not so friendly as Lucky the leprechaun. 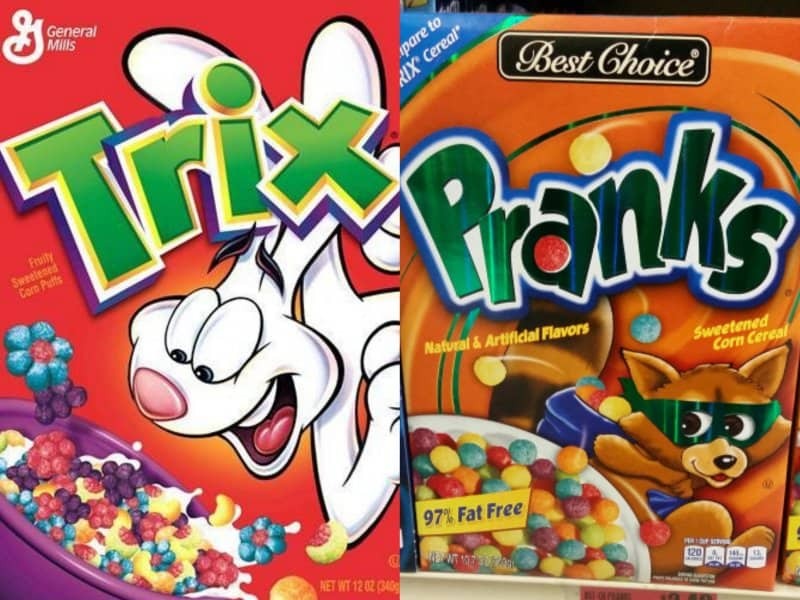 Pranks is a hilarious take on the popular cereal, Trix. The box even features a sly fox who is up to no good. Crisp Crunch is the knockoff version of Cap’n Crunch. 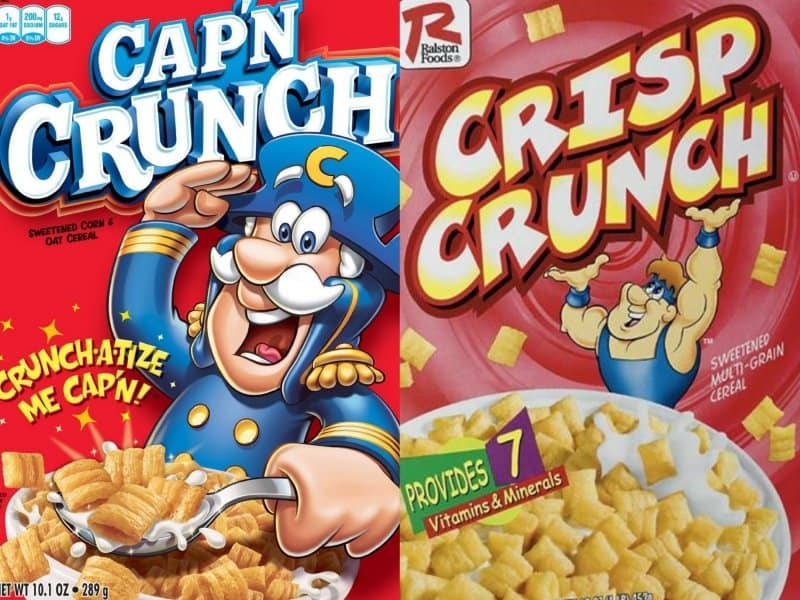 The character on Crisp Crunch is even dressed in blue similar to the Cap’n. Kookies! 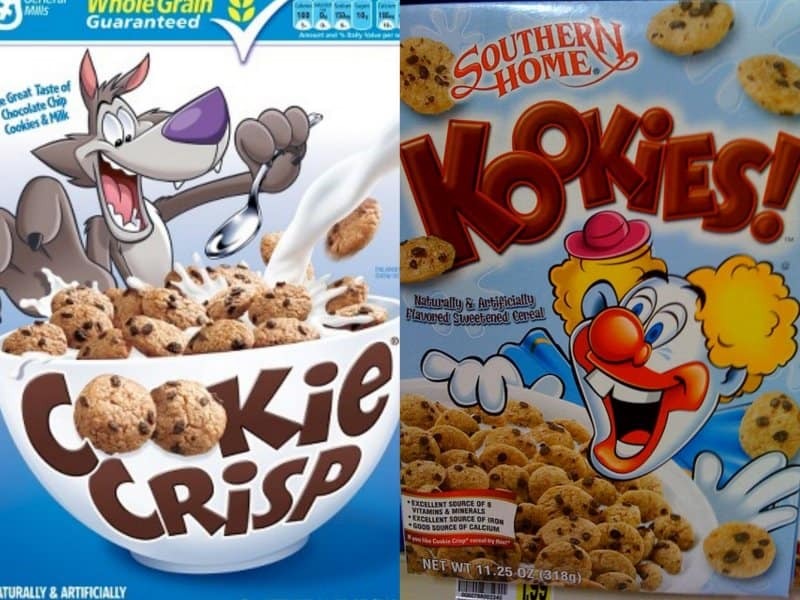 look exactly like Cookie Crisp. They just changed the spelling of cookies and dropped the crisp. 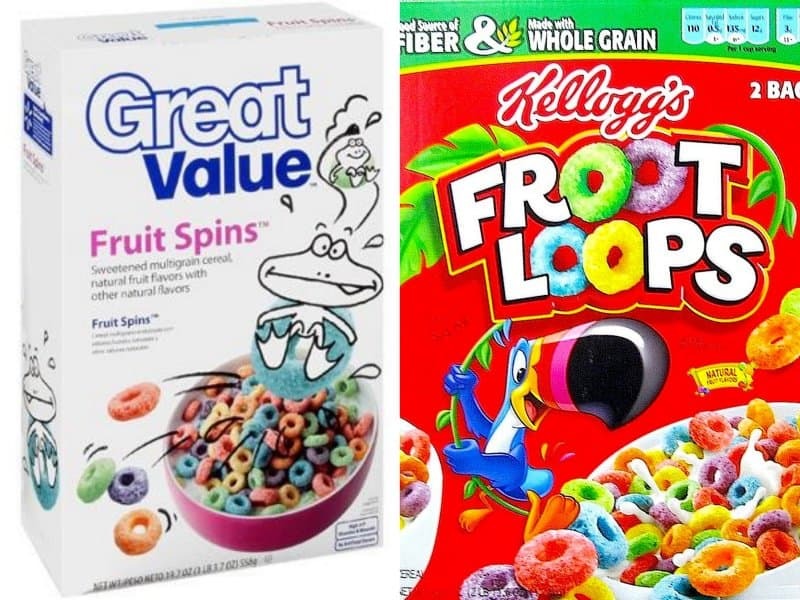 Fruit Spins are the store brand version of Fruit Loops. Instead of a bird on the package, it features a frog. 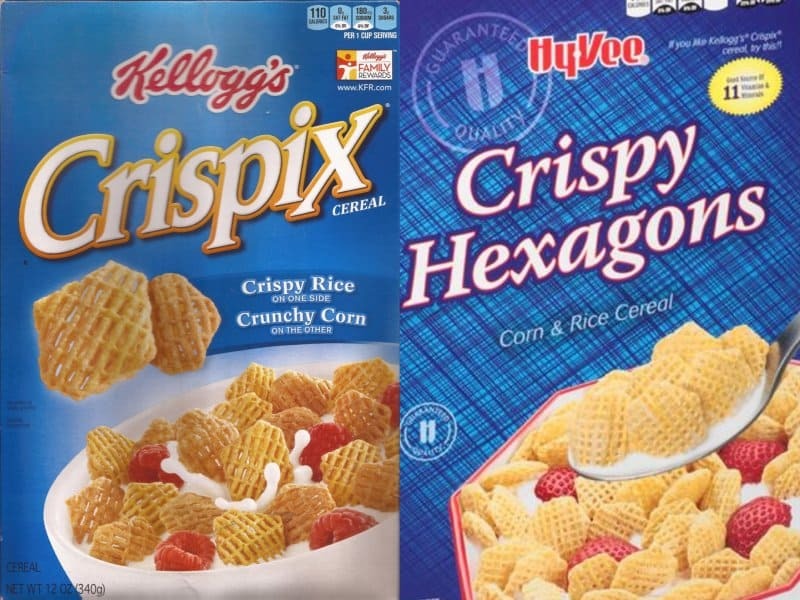 Crispy Hexagons are the cheaper versions of Crispix. They look exactly the same, and the box even features fruit the way Crispix does. Now this cereal could’ve at least had a creative name. 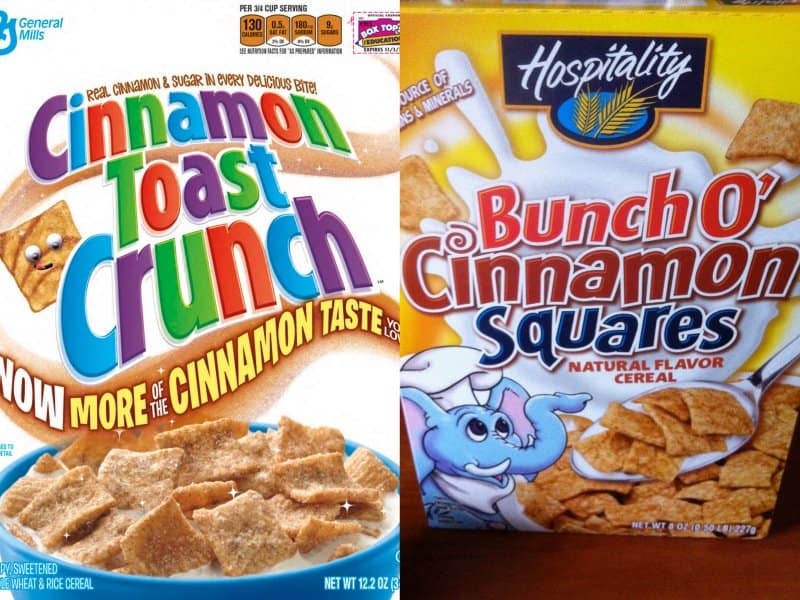 Bunch O’ Cinnamons Squares is the knock off version of Cinnamon Toast Crunch. The elephant even has on a chef hat. Confruity Crisp is a desperate attempt at Fruity Pebbles. The box even features a prehistoric, creepy looking dinosaur. 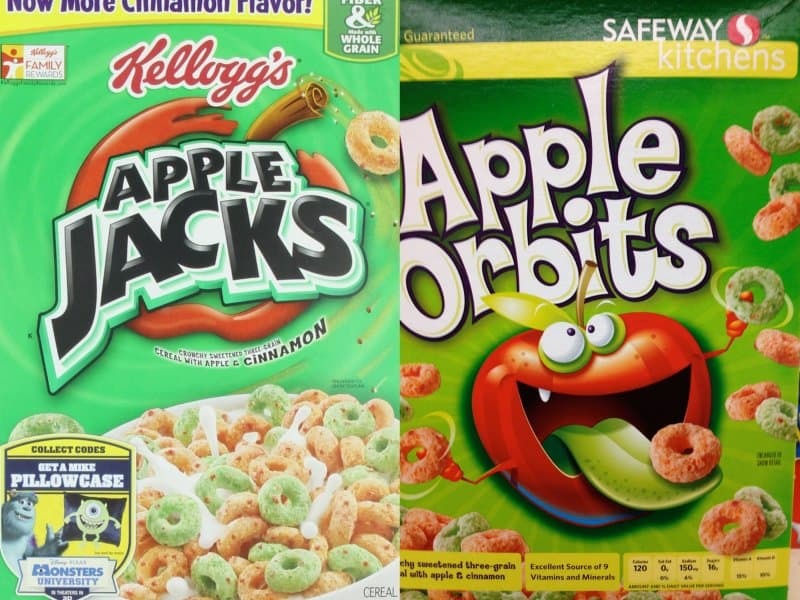 Apple Orbits are strikingly similar to Apple Jacks. They’re the same shape and even come in the same green and red colors.